What an incredible tournament the British Open was. This year has been great for golf finishes and this one was no exception. At one point on Sunday it was looking like we could see a potential playoff featuring Woods vs Spieth. While that didn’t pan out, we then were looking at something crazy like a 10 person playoff. There were so many contenders as they all hit the back 9 and it was fascinating to watch. It was such a shame that Tiger couldn’t really get going after that hot 3rd round. He did solid on the front 9 but stumbled on the back with a double bogey followed by a bogey to put him out of contention. However it was great to see him in amongst the leaders and I must admit I was getting goosebumps when he briefly took the outright lead. 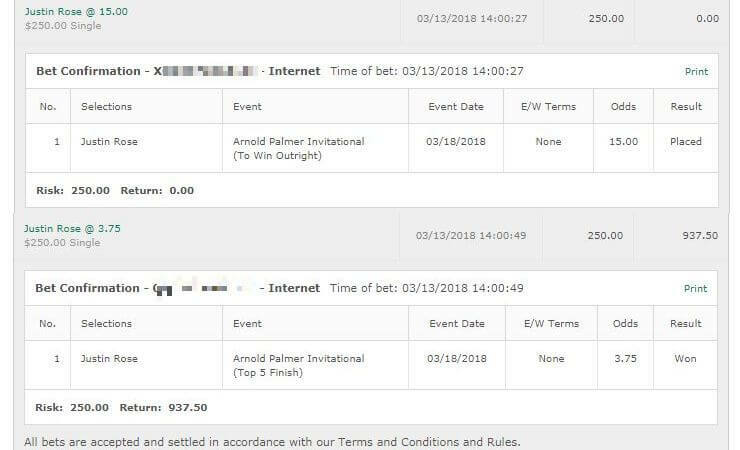 Betting wise, it was a solid day as I was able to correctly predict the winner, as well as two E/W cashes with Justin Rose coming in 2nd place. It could have been an even better day too as we had the 160/1 Ryan Moore and Tommy Fleetwood both in contention. Alas neither were able to get going. After such a solid week, I hope you don’t mind if I put this weeks tips behind the social block. The more people that read my tips, the more it encourages me to keep doing it. 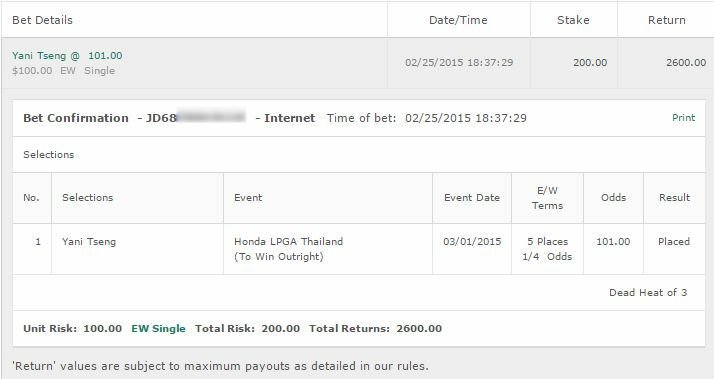 If you have a website or a blog I’d really appreciate your linking to GolfBettingTips.org. 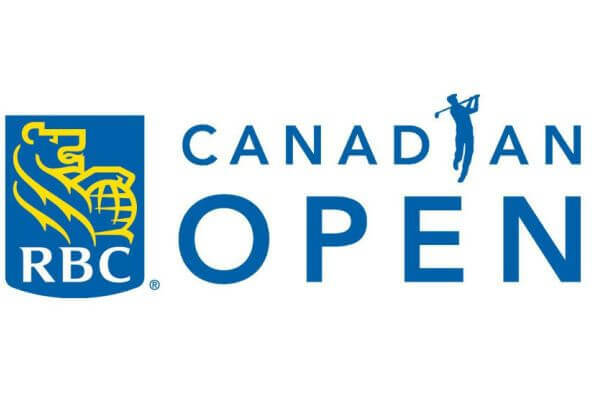 It’s being held at the Glen Abbey Golf Course where it has been held 4 of the last 5 years. Jhonattan Vegas comes in as a two time winner having beaten Charley Hoffman in a playoff last year, and DJ, Laird and Rahm the year before by a stroke. Dustin Johnson 13/2: On the bounce back he’s certainly had some solid performances in his time. In 2017 he got cut at the Farmers Insurance Open then came back for a 3rd place and three wins in a row. In 2015 he got cut at the Honda Classic then bounced back the next time out at the WGC Cadillac with a win. Actually he even did it in 2011 with a cut at the PGA Championship – right back 2 weeks later and won The Barclays. I was extremely disappointed with his performance at the Open. He just didn’t look interested and it was a very lazy performance. There’s just as much chance that continues this week as there is a chance he comes back motivated with something to prove. Initially I was going to skip DJ as I knew the odds would be bad. However with his bounce back performances and his performances here in the past I think he’s worth a tiny bet of 1/4 unit to win. And if he craps the bed, so be it. Jhonattan Vegas 66/1: Two wins in a row here at 125/1. Is he lighting up the courses at the moment? Hell no. Guess what? He won last year after 5 straight cuts. He did have better form going into it the year prior but hell at 66/1 I think he’s easily worth a 1/4 unit bet to win & E/W. Much like Molinari last week – it’s one of those picks where it’d just be silly not to have SOMETHING on it. Bubba Watson 22/1: Had a 2nd place here in 2015 and his form is decent at the moment with that recent Travelers win. I think his skill set works well enough on this course and I’ll go with 1/4 unit to win & E/W. Charley Hoffman 25/1: He’s been knocking at the Top 10 door for awhile now and I think this is the tournament where he can come crashing through. A 2nd place last year and a 7th place in 2015. I just feel like this could be a great one for Hoffman and am going to go ahead with 1/2 unit on Hoffman to win & E/W. Keith Mitchell 75/1: Heavily undervalued in my opinion this week. I think he matches up well for this course in a few key metrics and he’s coming in off the back of two very good performances. 1/4 unit to win & E/W. Tom Lovelady: Popped up on a few of the simulations I run. Had a look and yeah I think he may have some value here and may do well on this course. 1/4 unit to win & E/W. Tony Finau: This is one I thought long and hard about. I already have a fair amount of picks for this tournament AND his odds aren’t that great. He’s also had some poor performances here in the past. But after thinking about it I decided I can’t go this week without betting him. Just a small play of 1/4 unit to win as I don’t think the E/W odds are worth it here. Go big or go home Tony boy. 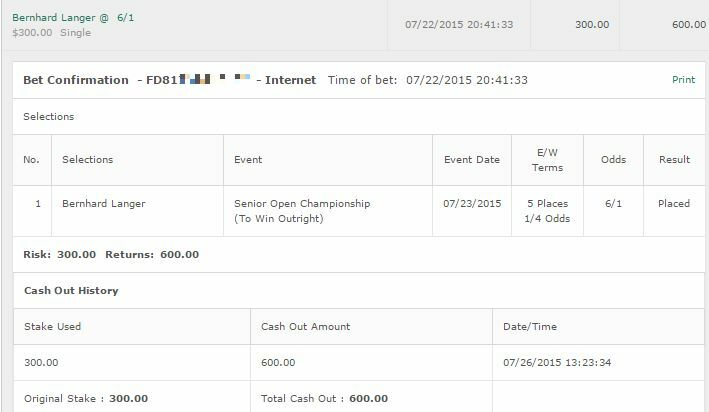 Bryson DeChambeau 14/1 : 1/4 unit to win is my only play. Very little history to go on this tricky course but I think he should suit up well here.